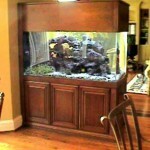 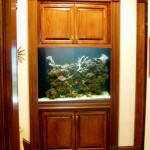 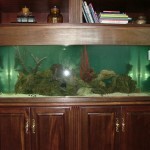 Whether you want a free standing or built-in aquarium, the cabinetry used to enclose it is an important element in the structural stability and overall beauty of your aquarium system. 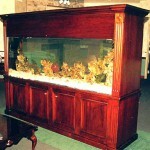 Indoor Oceans provides custom built, furniture quality stands, canopies and cabinets finished per our customer specifications using woods such as Ash, Cherry, Hickory, Mahogany, Oak and Walnut — just to name a few. 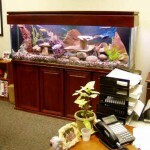 Our association with one of the nation’s leading custom furniture makers enables us to offer cabinet options that will put a smile on even the most discriminating customer.